Vampire Diaries hit TV in 2009 when, thanks to the Twilight books, vampires were all we could think about. I'll admit, I started watching VD to cure my Twilight withdrawals. Stephan and Elena were perfect stand-ins that took us on an incredible eight year journey. At the peak of VD success, CW spawned The Originals, a VD spinoff. Personally, I didn't think The Originals had quite the same spark as VD, but I watched none the less. Which brings me to my current dilemma. Dare I continue the saga with Legacies, the latest spinoff in CW vampire fandom? I think if you are new to the saga, you're going to really enjoy it. Danielle Rose Russell is a strong lead with a bunch of fresh faces supporting her. Its premise of real teenagers, not hundred-year-old vampires that look like teenagers, coping with their newly cursed selves is sure to entertain new viewers. I predict plenty of teenage love, drama and whole lot of OOPS's! For a seasoned pro like myself, I'm not sure I want to go back to Mystic Falls after watching the series finale of Vampire Diaries. 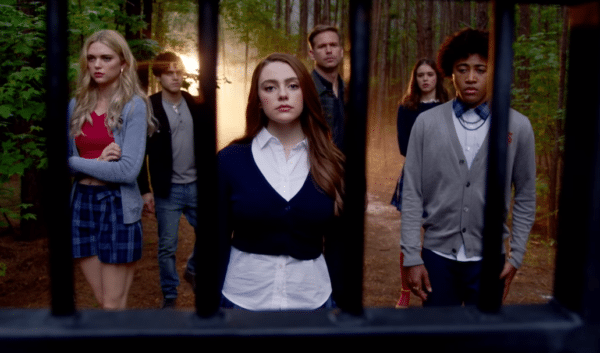 While a few VD regulars will appear on Legacies, it isn't going to be the same. What do you think? Will you be watching Legacies? Want more Vampire Diaries? Read my blog The Vampire Diaries Butterfly Effect.